The internet is highly valuable to the LGBT+ community, but often, online spaces are as far as you can come out, due to dangerous circumstances. Most LGBT+ organizations with valuable resources require 'outing' yourself so contacting them is hard. RESCQU NET provides you closet-friendly access to nonprofit resources, anonymous online communities, and LGBT+ education, for closeted, stealth, questioning, and under-resourced people. One support group session services up to 9 struggling people at just $15 dollars, before they become "at-risk". Help Fund a Group! Our anonymous, and secure weekly digest packages our resources database, communities and educational content into one safe private weekly email. 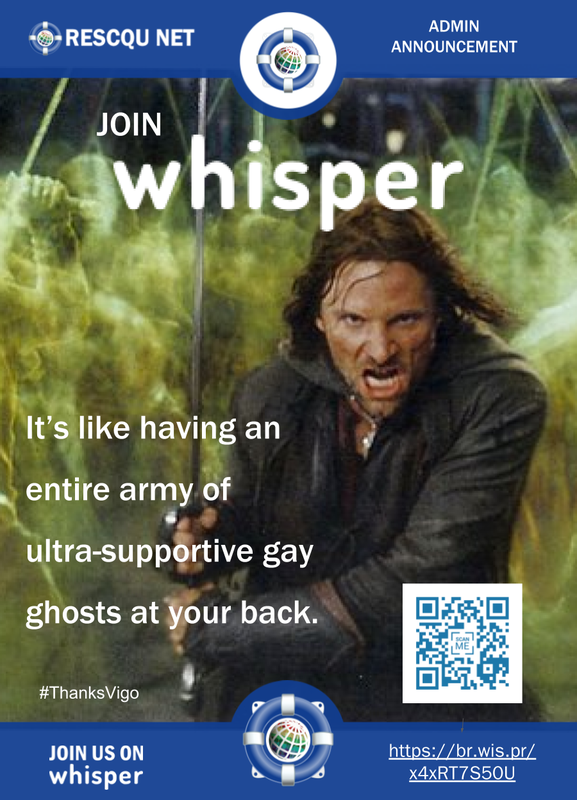 Our support groups create an online safe space for the invisible LGBT+ community to provide direct, in-person connections and support when you can't get it locally. We make educational LGBT+ content to help you and those around you stay safe on the internet, understand what being LGBT+ is, and learn about yourself. In addition to our programs for the invisible community, RESCQU NET encourages a safer, more connected network of LGBT+ organizations. Look out for these badges on other sites so you know who you can trust.